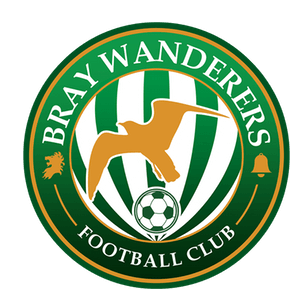 Wanderers made one change to the starting team from their last league outing with Hugh Douglas coming in to replace Sean Heaney. Wanderers had early chances through Philip Gannon, Paul Keegan and Joe Doyle inside the opening ten minutes. Danny Furlong had the ball in the Bray net but his effort was ruled out by an offside flag. Dylan McGlade fires a shot just over the bar on the stroke of half time. On 54 minutes Sean Callan nodded to the unmarked Nugent, who volleyed it in a high loop to Sava’s left-hand post. The home side added a second when Dylan Barnetts quick free kick was intercepted by Doherty and he raced clear to fire past Sava. In the closing minutes, Paul Keegan and McGlade both had efforts on goal to no avail.